Home » AvX » Comicbooks » Marvel » I got an AvX Coming! I got an AvX Coming! I know - I am a late bloomer, lol. Er, how do I put this? Tugoinkz! Okay, I have a friend who is sending me a copy of AvX (Avengers versus X-Men) HC. AvX was Marvel's biggest story of 2012. Obviously as the title suggests, this is Avengers versus the X-Men. So in short, Cyke's minions against the Cap. But what about those X-Men who also serves as the Avengers? Where will be their loyalty? Well in that case because I don't want to be a spoiler, you need to go get your own copy, lol. After the Schism, Cyclops and Wolverine has parted ways. Cyclops remained in Utopia (an island near San Francisco bay) to make sure every living mutant (currently around 200 of them) sees the sunrise each morning, while Wolverine rebooted the Xavier School (the school was renamed to Jean Grey School for Higher Learning in honor of Phoenix) in Westchester, New York and serving as the headmaster. That's by the day because at night he's a full time leader of the X-Force and in between a member of the Avengers. Imagine, Wolverine as the headmaster? Professor X wouldn't even expected it. Wolverine inspired to re-open the school because he believes, every young mutant has the right to act their age and they should be in school learning to prepare for life as opposed to Cyclops that they don't need education but rather engage them to warfare as early as possible because eventually that is where they are heading to anyway. In AvX, the war was triggered when Scarlet Witch uses her hex power to abort every x-gene (mutant) from being born. As a mutant herself, she knows how hard it is to be born with that cursed gene. Troubles follow them, that's why she preferred to hide her identity by serving as the Avenger instead of serving as among the X-Men. The riot erupted when Cyclops interfered by stopping Wanda with her plan, as she has no right to do such thing - simply because it's not her to decide, it's not her call. You may disagree with him for most of his action but this one is among the rear ones you would ever agree with Slym 100 percent. AvX ends with Professor X being killed (again)... and this time by Cyclops. Yes, Cyclops, his first ever X-Man, a person closes to be his son. 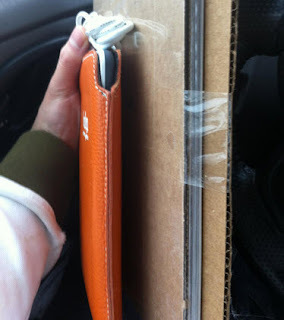 Now, aside from AvX my friend Mommyblush is also sending me an e-reader. She knows how I love to read every page of Kamasutra, so she feels it would be more fun and stimulating in e-reader, lol. She's persistent to ship it directly here (Philippines), and you know how International shipment would cost. So, I suggested her to mail it instead to my other friend who will be coming home from Canada next month. Items are now received, so I'll wait for next month, whew - this would cost me a month of no sleep for anticipation, lol. Mommyblush, from the bottom of my heart. Thank you. My gosh, I'm so indebted to you. I don't know, if I can ever repay you.